PAKISTAN NAVY SEIZES NARCO CACHE NEAR ORMARA. 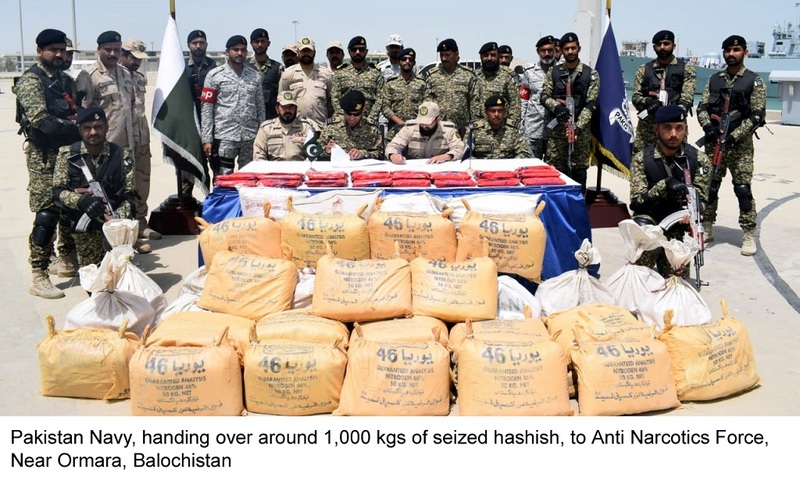 Pakistan Navy conducted an intelligence based operation in Gorhad near Ormara in coordination with Anti Narcotics Force (ANF) and seized 1000 Kg of Hashish worth approximately Rs. 2.5 Billion. The Hashish was loaded on boats for onward smuggling through sea. The cache was subsequently handed over to ANF for disposal. 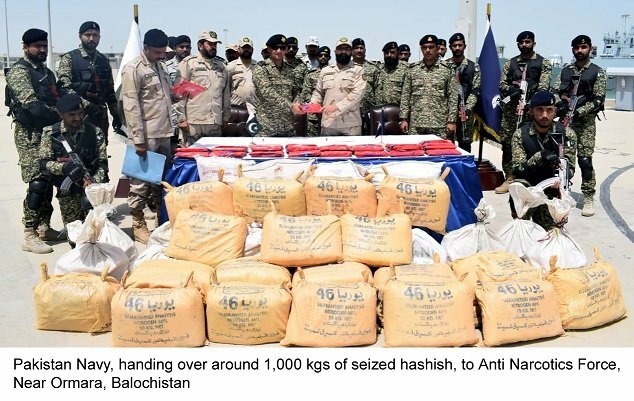 The successful execution of the operation, against narcotics smuggling demonstrates Pakistan Navy's perseverance to deter, disrupt and deny use of our seas for any unlawful activities. Pakistan Navy remains committed to its national and international obligations to maintain peace and lawful order at sea.